This adorable little bunny is very easy to make. You can make one or many (you know bunnies tend to duplicate) in a variety of sizes. 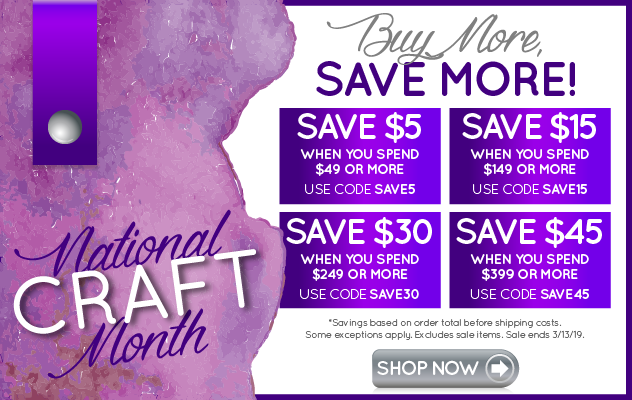 They would make cute holiday decor or a great addition to a special Easter basket. 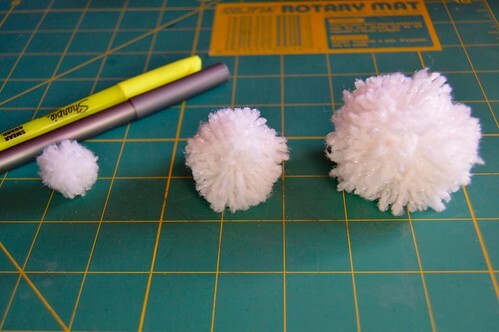 I used two pens to make the small pom, two of my fingers for the medium pom and four fingers for the large pom. Wrap yarn around the pens about 20 times and cut the yarn end. Using another piece of yarn, run it between the two pens and around the yarn. Tie a tight knot, removing the pens if you need to get the knot really tight. Cut the looped yarn and trim the pom to a nice circular shape. Do the same for the next two poms. 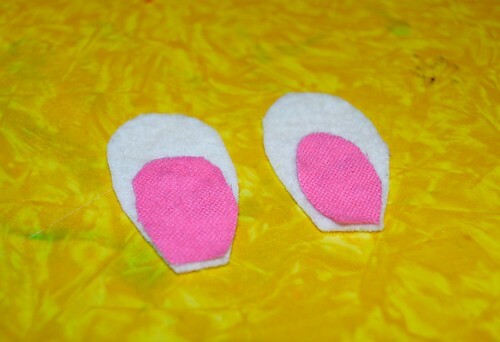 The parts needed to make the bunny: the three poms, white felt cut for the ears and pink felt cut for the inside of the ears. One bead. Using the hot glue, glue the pink felt to the white felt. 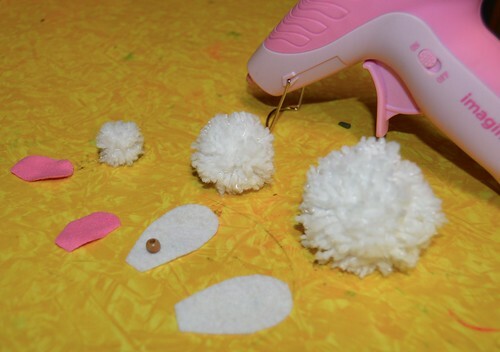 Glue the three poms together to form the bunny body. 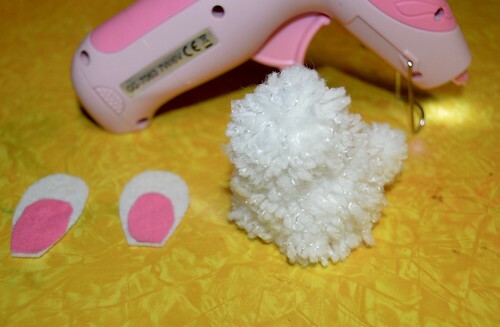 Using hot glue, pinch the ears at the bottom with a small bit of glue. Then attach them to the bunny body. Also glue the bead in place for the nose.